Projectors are a great way to present media to large groups and for watching content, but even the best projector will look bad without a high quality surface to display the picture on. 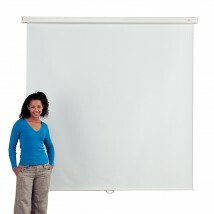 Your media will look outstanding on our range of portable and wall mountable projector screens. 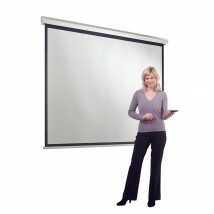 We have a selection of projector display screens to suit many requirements, including a range of Metroplan products. No matter if you need a wall mounted, ceiling mounted or floor standing projector screen, we have you covered. 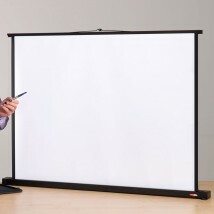 Ensure your projected presentations always look their best with our range or high quality projector screens. A great way to present media to large groups, even the best projector will look bad without a high quality surface to display the picture on. Our selection of projector display screens includes a variety of Metroplan products and will suit any requirements – just choose the right size and format for your space. Choose a wall or ceiling mounted screen for office meeting rooms, school classrooms and other semi-permanent installations. 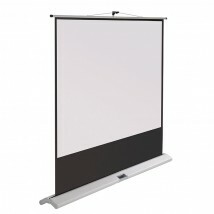 Our range includes a pull down screen with simple square design as a basic and affordable option, or for a more professional look, our electric screens feature a small motor which slowly raises and lowers the high quality viewing area which has crisp black borders to enhance the projected image. 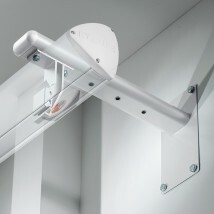 No electrical installation is required – the screens are supplied with an extension cable, and remote controls are available allowing you to move as you present. 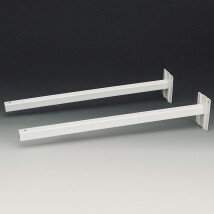 For a more portable solution, our freestanding screens are available with a range of base options. 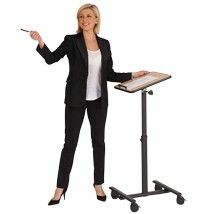 Choose from a traditional tripod for a raised level screen, a stable floor base for a full length viewing area, or a desktop screen base for smaller meetings and event spaces. All of our screens are quickly assembled with a convenient pull up design, and collapse down easily for transportation between events. Choose from a range of sizes and screen formats to find the perfect fit for your requirements. To keep your expensive projector safe, stable and easily accessible, choose one of our projector trolleys, which are wheeled for portability – perfect for shared offices, schools and event environments. 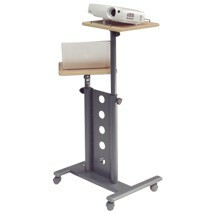 Designed to hold lecture notes or a laptop as well as the projector, the trolleys feature height adjustable and rotatable platforms, ensuring that they make the perfect projection point for your presentation.